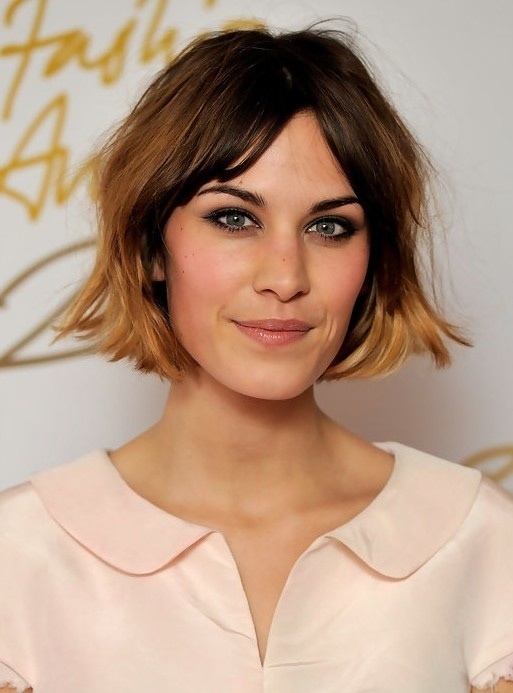 Alexa Chung’s short, brown hair is cut in a sassy bob hairstyle. Hair is parted i..
Alexa Chung’s short, brown hair is cut in a sassy bob hairstyle. Hair is parted in the middle to complete this girly, casual look. Alexa Chung’s medium-length, wavy, brown hair is styled in a classic bob hairsty..
Alexa Chung’s medium-length, wavy, brown hair is styled in a classic bob hairstyle. Her choppy bangs graze her eyebrows in this casual, everyday look. Alexa wore this look to the Intel launch party. Alexa Chung looking like a very hot mess in an unkempt updo! 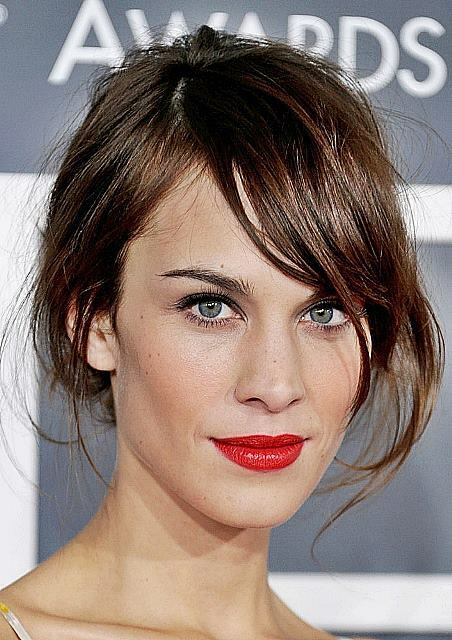 Tip: shake your hai..
Alexa Chung looking like a very hot mess in an unkempt updo! Tip: shake your hair a little before pulling hair back into a loose updo. Let rouge hair fall on the side naturally for that effortless chic finish.